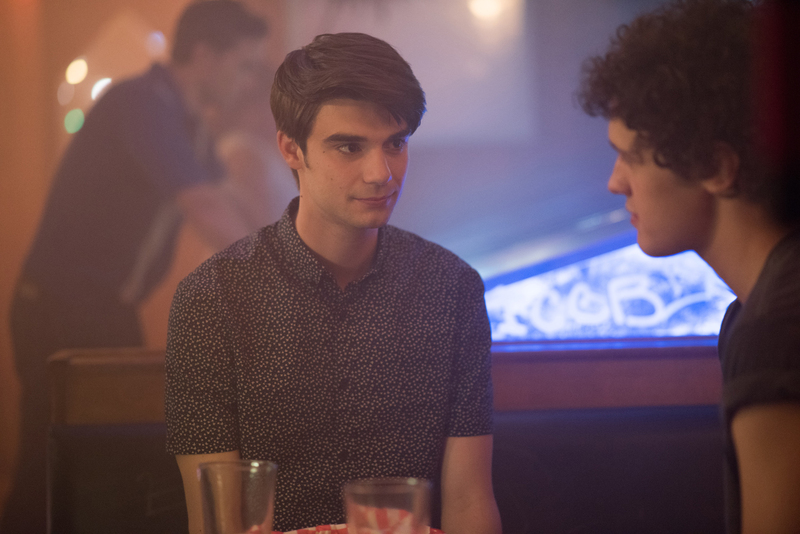 Adam finds the Netflix Teen Rom Com Alex Strangelove a refreshing change of pace with its honest approach to finding one’s sexuality. Many will find discourse to compare Alex Truelove to a specific film released earlier in 2018. That film and this one only share one common thread that they both deal with Teens who happen to be gay, bi, or just dealing with the complicated matters of growing up and owning one’s sexuality. Alex Truelove finds its ways through equal amounts of understanding, compassion, fun, gross-out moments and normalization that raises it above the mediocrity that circles the Teen Rom-Com genre. Yes, this is one of those few teen comedies (like the previous one in 2018) that can be proudly compared to the late great John Hughes’ oeuvre. Alex Truelove (Daniel Doheny) is your not-so-standard amazing young man; he’s the Class President of his high school, he’s trying to get into Columbia, and he has a great girlfriend/partner in crime in Claire (Madeline Weinstein) that matches him wit for wit. Everything about Alex’s life is almost picture perfect but one thing. Pressures from his friends and even his girlfriend find him forcing himself into the awkward position of trying to plan the loosing of his virginity. This entire enterprise times perfectly with the chance meeting of Elliott (Antonio Marziale) at a party. Elliott is out of the closet, charming, young man, who knows himself and free in the way that Alex seems to be constrained. It is the electricity and attraction that sends Alex into is a road of discovery of who he is. Is he gay? Is he bi? Does it matter? Writer-Director Craig Johnson brings the same sort of observed perfection that he brought to the underrated and beautiful The Skeleton Twins. Here the director finds that tricky tonal balance of Raunchy R-Rated Teen Comedy and affecting Coming (out) of Age Dramedy. There is a sensitivity and almost lighter than air touch that surrounds the film’s entire running time. Johnson is able to push beyond the conventions of both genres, he makes Alex a real kid, a likable kid with some questions and confusion like any teenager goes through. The key is, like John Hughes before him; Johnson finds a way to make these very real for Alex and never panders or belittles his characters. That sort of respect is rare nowadays in adult dramas, let alone a teen comedy. Alex Strangelove is one of the rare ones.